If you are going to get a tattoo, don’t just get some small thing. You might as well go all out and get something truly epic. 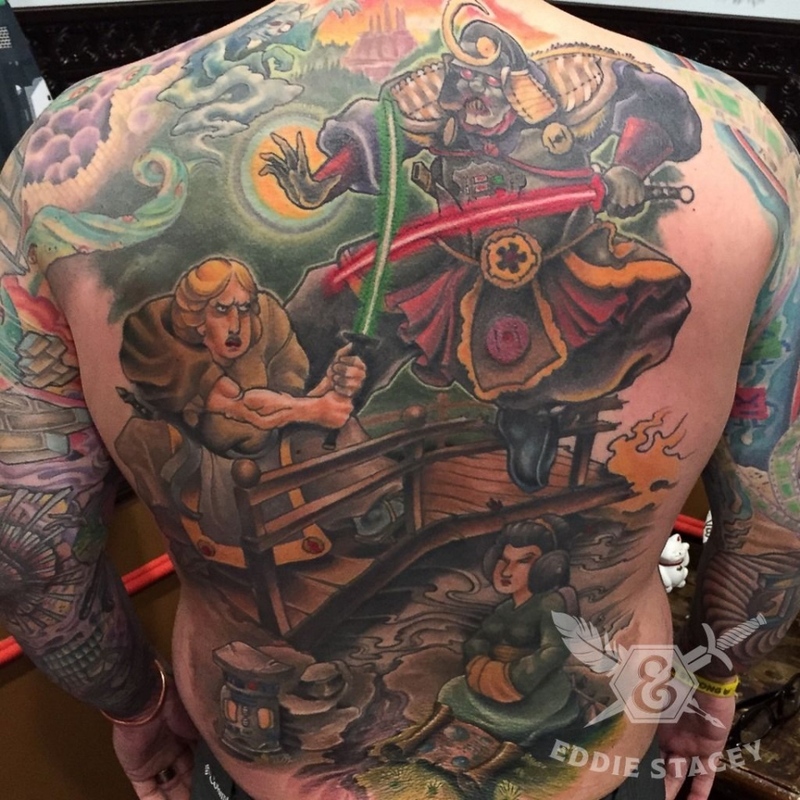 Like this tattoo which combines Star Wars with feudal Japan. The result is an amazing scene of Luke and Vader dueling, while Leia sits reading a scroll that is depicts the Death Star plans. As if that isn’t enough, you can also spot some easter eggs like Ignignokt and Err from Aqua Teen Hunger Force and a sandworm from Dune if you look carefully. This amazing creation is the work of Eddie Stacey of Ink & Dagger Tattoo in Roswell, Georgia. All I can say is that if I ever get a tattoo, I’m going to these guys. Awesome work.